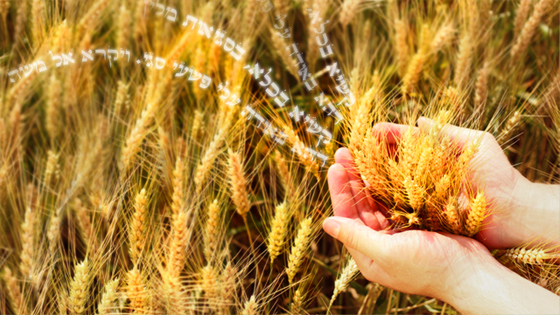 For thousands of years, kabbalists have taught that the Aramaic words encoded in the Zohar portion of Miketz offer a direct connection to the energy of prosperity. When we connect to Miketz—an aspect of prosperity is not only awakened in us, but in the world as a whole. You can connect to Miketz in four ways. The eye truly is the window to the soul. As such, it reads much more than mere letters on a page. By scanning the Aramaic words of the Zohar portion Miketz—from right to left—our eyes gather the energy of prosperity and we begin to change the very frequency at which our souls operate. וַיְהִי מִקֵּץ, רִבִּי חִיָּיא פְּתַח וַאֲמַר, קֵץ שָׂם לַחֹשֶׁךְ וּלְכָל תַּכְלִית הוּא חוֹקֵר אֶבֶן אֹפֶל וְצַלְמָוֶת, הַאי קְרָא אִתְּמָר, קֵץ שָׂם לַחֹשֶׁךְ, דָּא אִיהוּ קֵץ דִּשְׂמָאלָא, דְּאִיהוּ שָׁאט בְּעַלְמָא, וְשָׁאט לְעֵילָא, וְקָיְימָא קַמֵּי קוּדְשָׁא בְּרִיךְ הוּא, וְאַסְטֵי, וְקַטְרֵיג עַל עַלְמָא, וְהָא אִתְּמָר. וּלְכָל תַּכְלִית הוּא חוֹקֵר, דְּהָא כָּל עוֹבָדוֹי לָאו אִינוּן לְטַב, אֶלָּא לְשֵׁיצָאָה תָּדִיר, וּלְמֶעְבַּד כְּלָיָה בְּעָלְמָא. To continue scanning the Zohar for prosperity, use the Zohar scanning chart. The kabbalists teach that every time we utter a word from the Zohar, it helps to remove some negativity from our being and replace it with blessings in a kind of soul transfusion. After scanning the Zohar portion of Miketz in Aramaic, read the English translation aloud to awaken greater miracles. 1. “And it came to pass at the end of two years” (Beresheet 41:1). Rabbi Chiya opened the discussion with the verse, “He puts an end to darkness, and searches out all perfection, the stone of darkness and the shadow of death” (Iyov 28:3). “He puts an end to darkness” is the end of the left, WHICH IS NOT INCLUDED WITHIN THE RIGHT; IT IS THE SATAN, THE ANGEL OF DEATH. He hovers about the world AND INCITES PEOPLE TO SIN; he hovers above and stands before the Holy One, blessed be He, and blames and accuses the world. As it is written, he “searches out all perfection (Heb. tachlit),” for his deeds are not intended to achieve good, but rather to exterminate (Heb. lechalot) and bring extinction to the world, AS HE TAKES THE SOULS OF MEN AND KILLS THEM. The more you bring the Zohar into your life, the stronger your connection to the Light becomes. Connecting with a spiritual teacher to study the wisdom contained within the Zohar portion of Miketz is a hugely beneficial next step in connecting to the energy of prosperity, and one that you can take at any time. 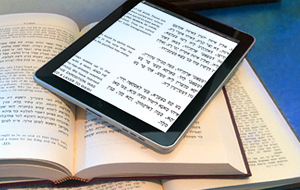 To continue studying the Zohar for prosperity, visit Kabbalah University. According to ancient kabbalists, the Zohar is the greatest gift possible to give or receive in this world. When you share the wisdom of the Zohar portion of Miketz with friends and family, you help to bring and strengthen the energy of prosperity in your life and in the world as a whole. To continue sharing the Zohar for prosperity, join the Zohar Project.